Your deck doesn't need to be just an ordinary outdoor space. It is a multifunctional wooden platform that can be used as a nice addition to a garden, as an extension of a living area of house or as an alternative of a patio. It can be attached to a house or freestanding, but regardless of its design it makes homes more comfortable and enjoyable. Decks can be designed and constructed according to your taste and home style. We, at B&G floorings, believe that decks will add value to your home and will match perfectly your lifestyle. If you want to build a safe place where your children can play or a nice area where you can relax or enjoy a cup of coffee with friends, then a wooden deck is the best solution for you! It’s highly durable because timber is a natural material that last for life. However, as any floor surface it requires proper maintenance, regular routine care and refreshment once in a couple of years. Timber decks are relatively inexpensive and quick to construct. 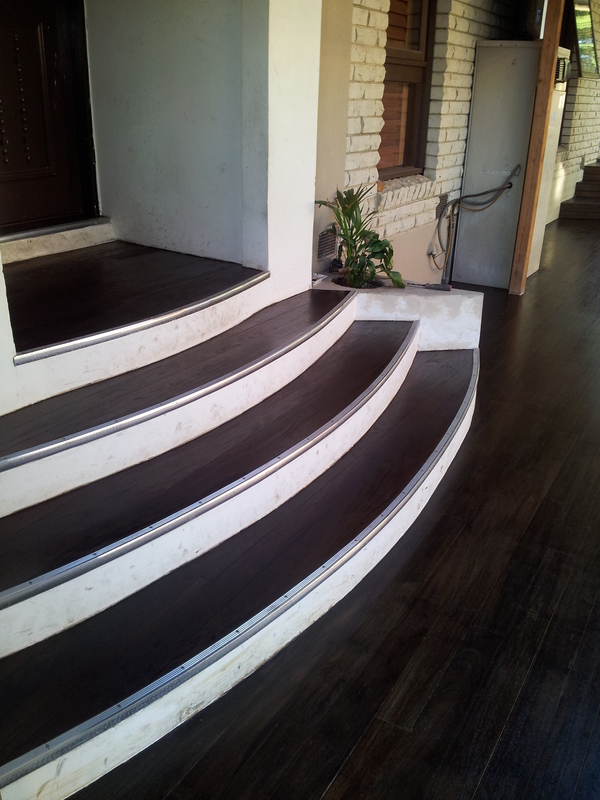 Every deck could be entirely customised according to your home style and taste. You can change its colour or add more extensions whenever you like. Moreover, any size and shapes are possible to fit your requirements. 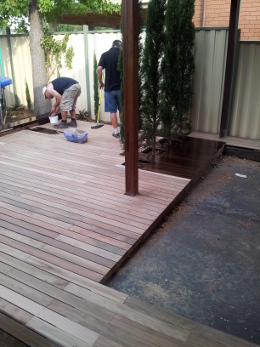 Timber decks are easy to clean and maintain. You just need a stiff broom for regular cleaning and once per year to use special equipment to remove dirt and moss. You probably wonder how much it will cost to have an old deck repaired or a new one installed in your yard or garden. As you can see, there is no approximate cost of our decking services on our pricelist. Our quotes are individual and are based on each client’s needs and requirements. The price depends on many factors such as the complexity of the design, the size of the structure, the type of wood, the current state of the ground and whether you require lighting, multi levels and other extras. After taking all these factors into consideration the total price could be higher or lower than what you have expected. To make sure you receive the best quote possible, get it touch with us and book a survey. We will be happy to arrange a free visit at your property, provide an expert consultation and give you a price estimate of the project.